Last weekend we went to check out the new exhibit at the Museum of Science and Industry – Numbers in Nature. 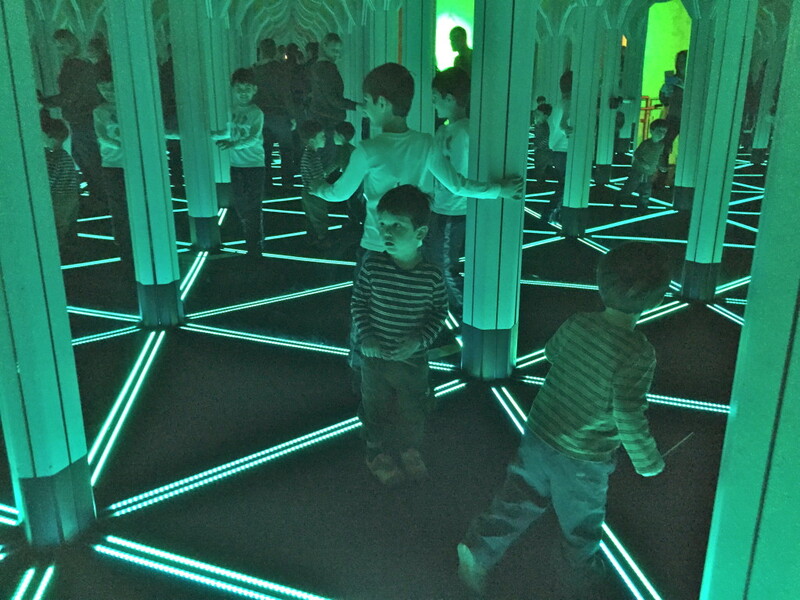 Watching four small boys in a crowded, 400,000 square foot building is a formidable feat alone, but add a mirror maze and watch as Adam and I have a heart attack thinking we are losing our kids at every turn! The kids had an absolute blast inside, except for Aaron who kept running into the walls. I understand it was completely confusing, I couldn’t tell who the real Jack plenty of times. Aaron buddy I get it, it’s hard to tell where the real path is. But what I don’t understand is why you didn’t try to avoid the life sized other Aaron walking right towards you?